Blue is a great colour for all seasons as there are so many shades to choose from: sky blue for the summer months and ice blue for cold winters. All tones look especially striking on men or women with blue eyes. 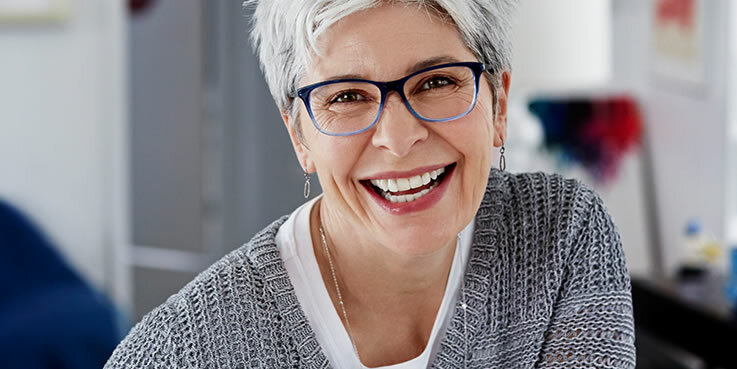 With our collection of blue glasses frames from stunning sapphire to bold cobalt you’re sure to find a pair that will be the icing on the cake. All glasses come with single vision lenses and a scratch-resistant treatment and start from just 29 €. Azure, dark blue, electric blue, ice blue, indigo, midnight blue, peacock blue, petrol blue, navy blue, sky blue – we’ve got it all. You just need to choose the shade that works best for you. View our full range of women’s blue glasses. View our full range of men’s blue glasses. 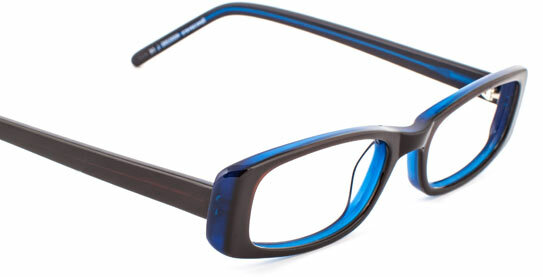 This is a deep, navy blue metal frame that oozes style in its simplicity. The shape is great and not only will flatter most faces, but is suitable for most varifocal or bifocal lenses. View our full range of blue metal glasses.